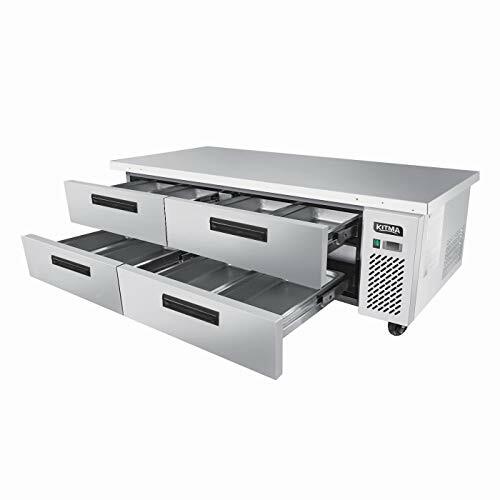 Store as many as 108 cans in two large-capacity roller-glide drawers. 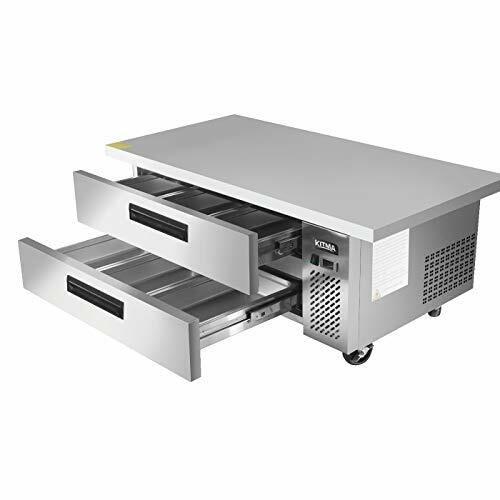 Marvel Refrigerated Drawers offer maximum storage capacity within easy reach and include a convenient quick-grip divider to organize contents. 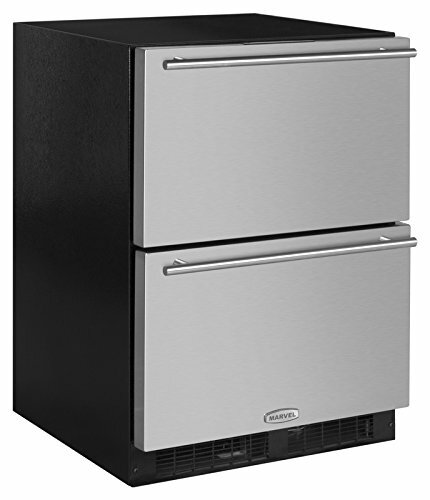 Dynamic Cooling Technology delivers the industry's best temperature stability and rapid cool down nearly twice as fast as other brands. 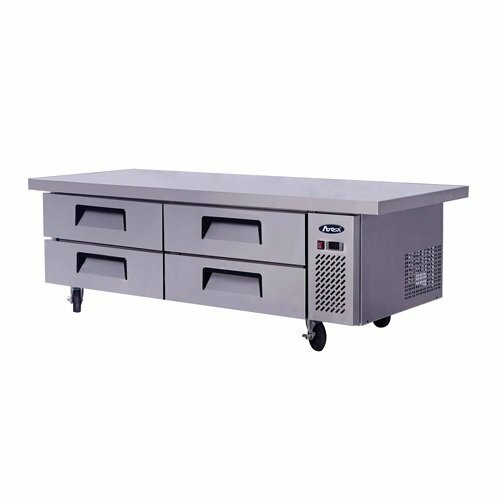 MGF-8454 76" Extended Top Stainless Steel Refrigerator Chef Base Work Table 100% Stainless Steel Interior + Exterior! 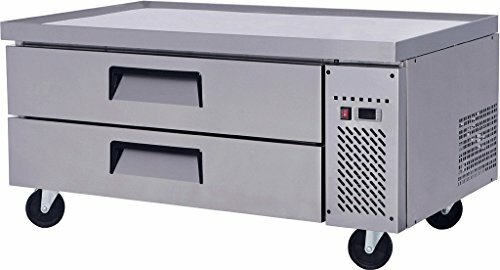 Heavy Duty Embraco Compressor. 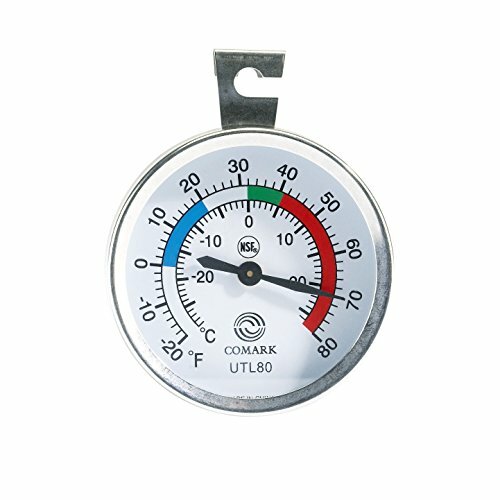 Latest Dixell Digital Controller Thermostat. 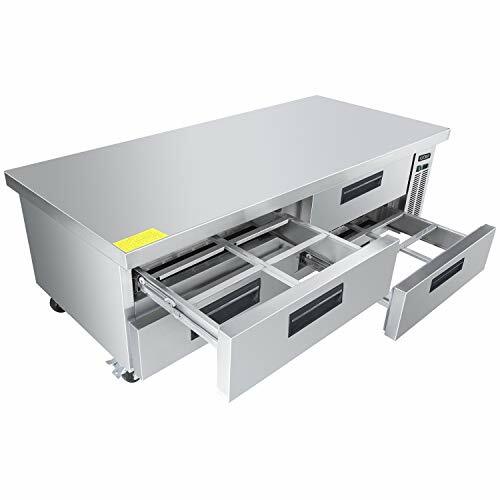 Gravity Fed Closing Drawers! 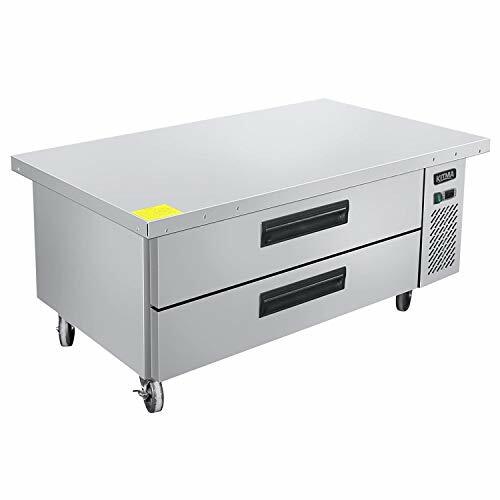 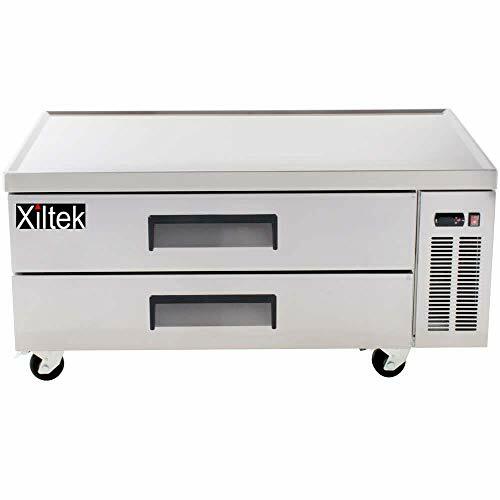 FEATURES: Model: MGF8454 Stainless Steel Exterior and Interior Heavy Duty Stainless Steel Drawer Slides and Rollers Large 15.0 cu. 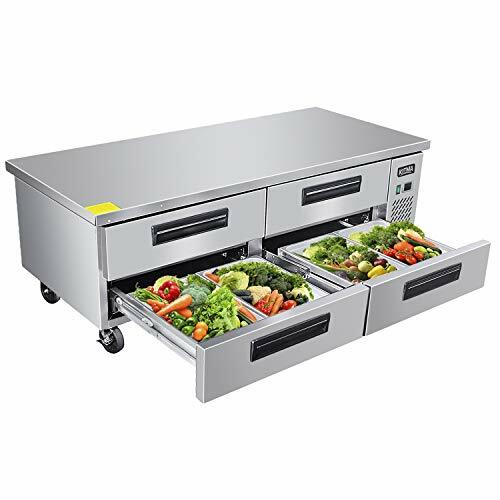 ft., (4) drawers Overall Size (Inches): 26.6(h) x 76(w) x 32.1(d) Inches. 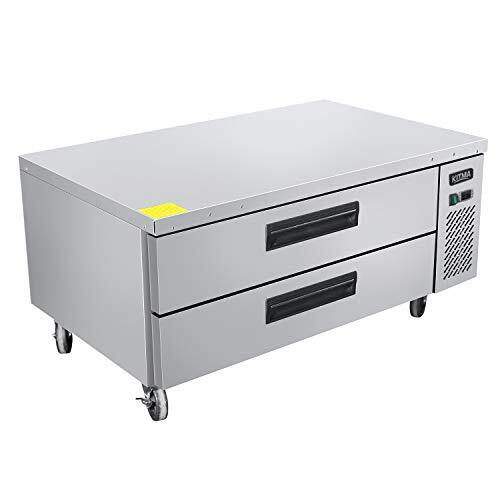 No tools required for drawer removal Magnetic drawer gasket is removable for easy cleaning and maintenance Recessed door handles Pre-installed heavy duty casters with brakes are included Designed with corrosion-resistant stainless steel of the highest quality Cabinet top is one piece 5" Casters included Side-mounted refrigeration Power Requirements: 360 watts, 115v/60/1-ph, 4.2 amps, 1/4 HP Heavy duty reinforced stainless steel to support countertop equipment Gravity fed self closing drawers Heavy duty Embraco Compressor Certifications: cETLus, ETL, CE 5 Year Warranty on Compressor / 1 Year all other Parts. 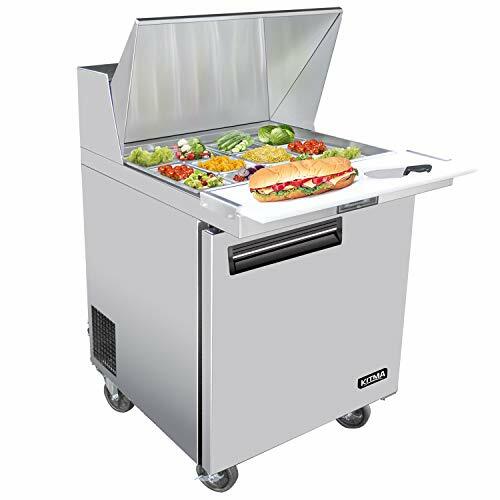 Free lift gate service included. 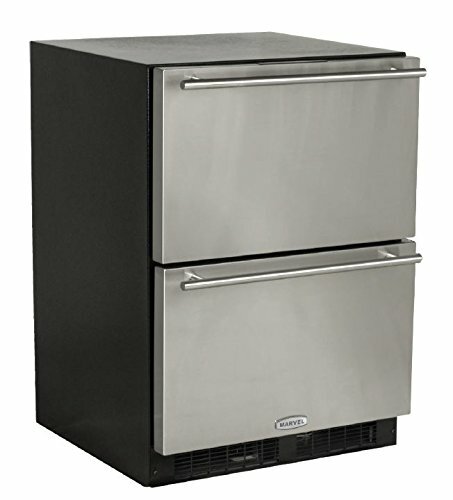 2 Drawer Refrigerated Chef Base 60 Inch, Kitma Commercial Stainless Steel Refrigerators with Pans 8.4 Cu.Ft. 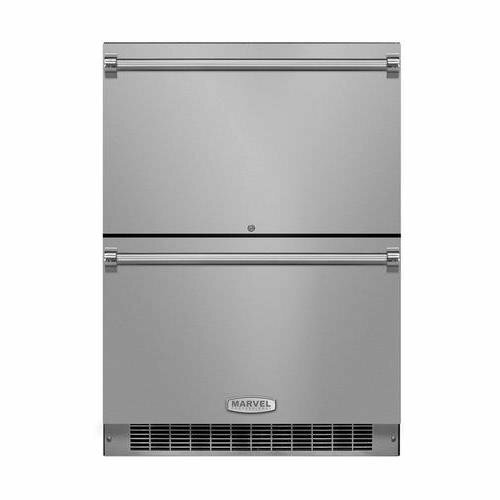 4 Drawer Refrigerated Chef Base 76 Inch, Kitma Commercial Stainless Steel Refrigerators with Pans 12.1 Cu.Ft. 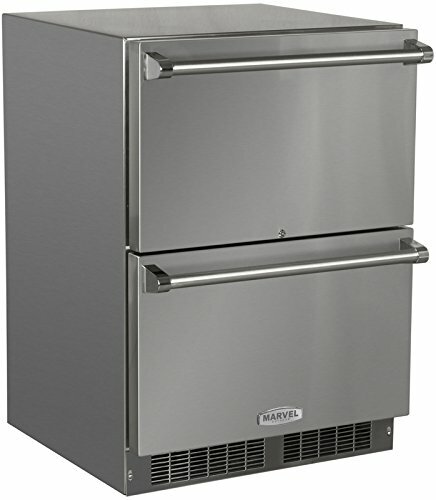 HACCP Stick-On Dial Refrigerator/Freezer Thermometer, NSF.